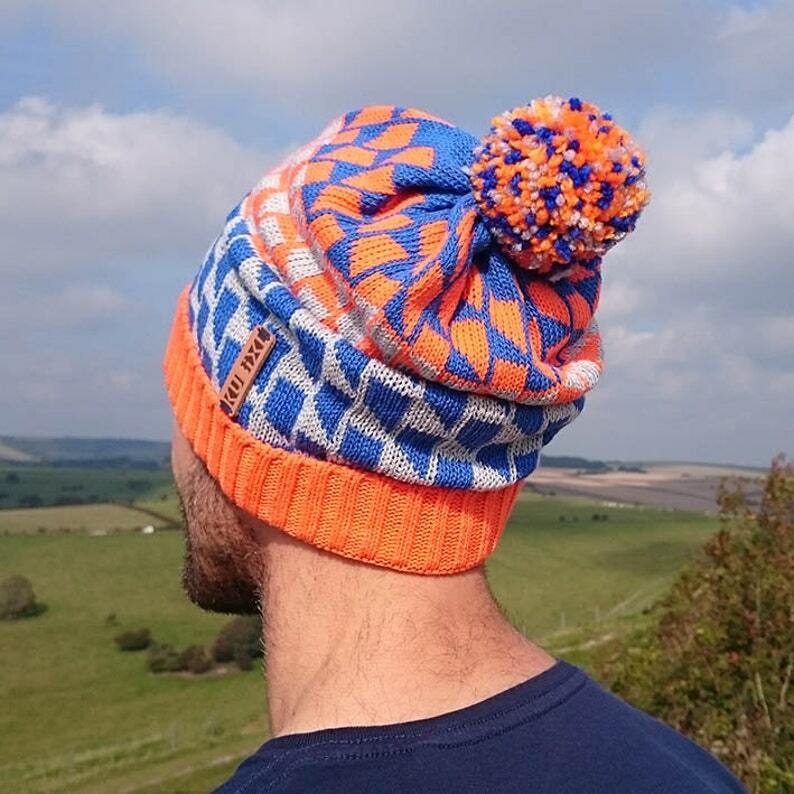 Kubixl design crazy colourful bobble hats with super perky bobbles! Each hat is machine knitted in one of our jacquard designs. The fold up of the hat is knitted in a 2x2 rib and the body a ladder back jacquard. Our hats are finished with a leather embossed branding tag and individually handmade bobbles. You can also purchase our hats without the bobble.